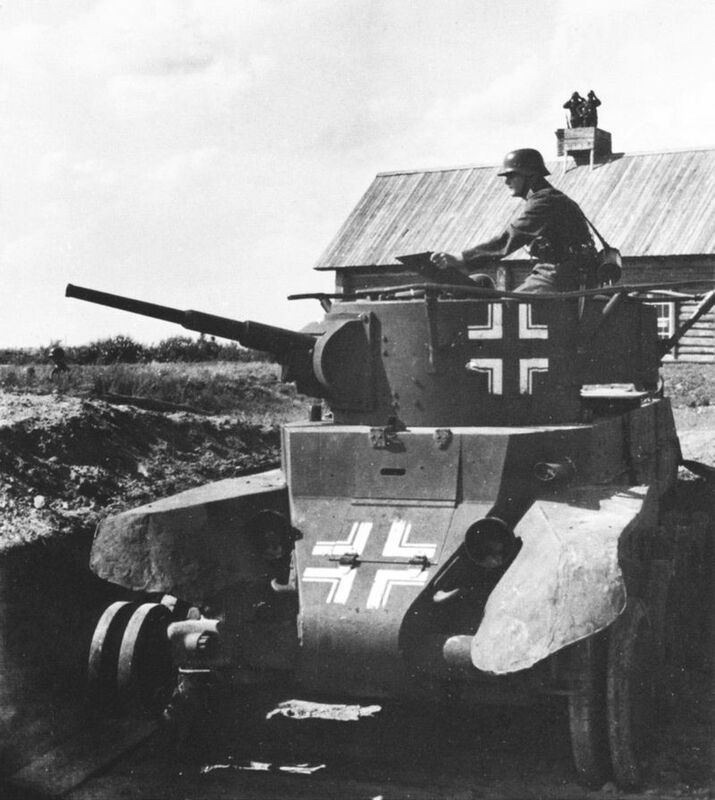 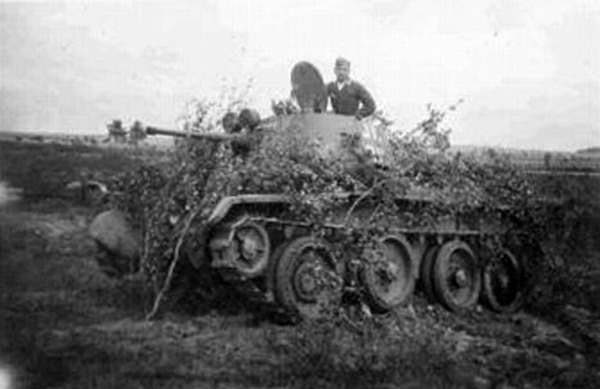 Bt-7 from airfield defence unit. 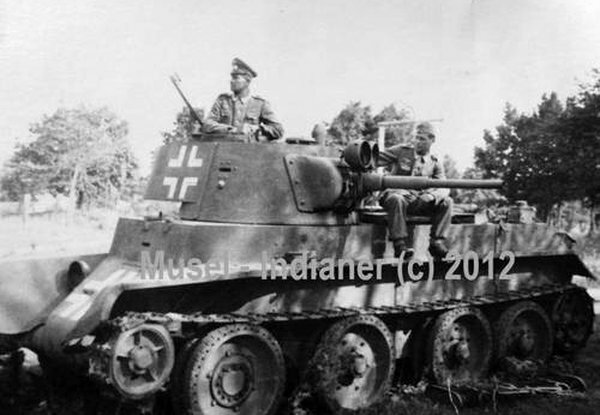 Note a crew luftwaffe uniform. 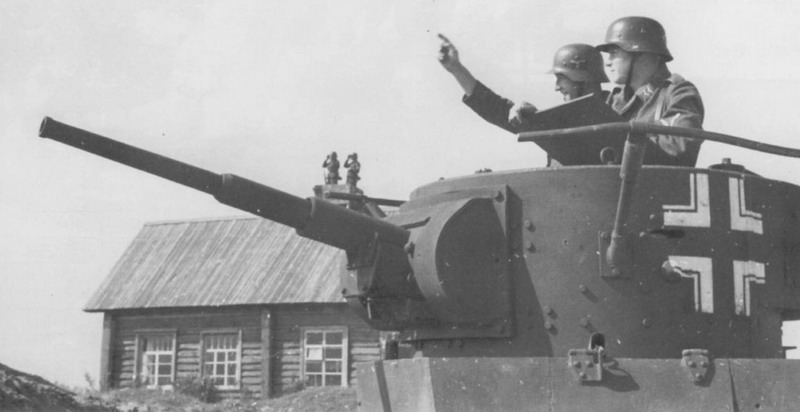 Germans BT-7 near Smolensk textile factory (flax combine), 1943. 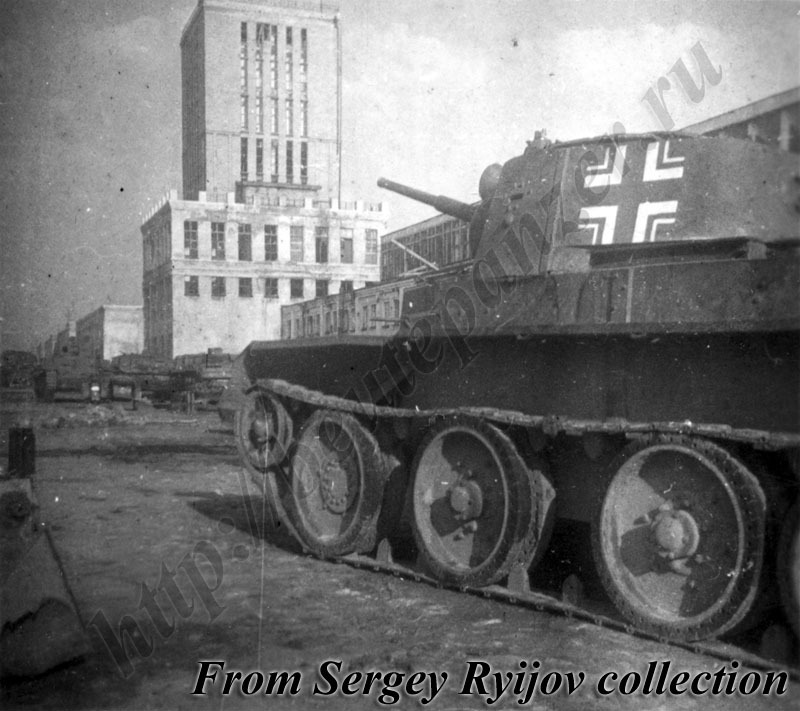 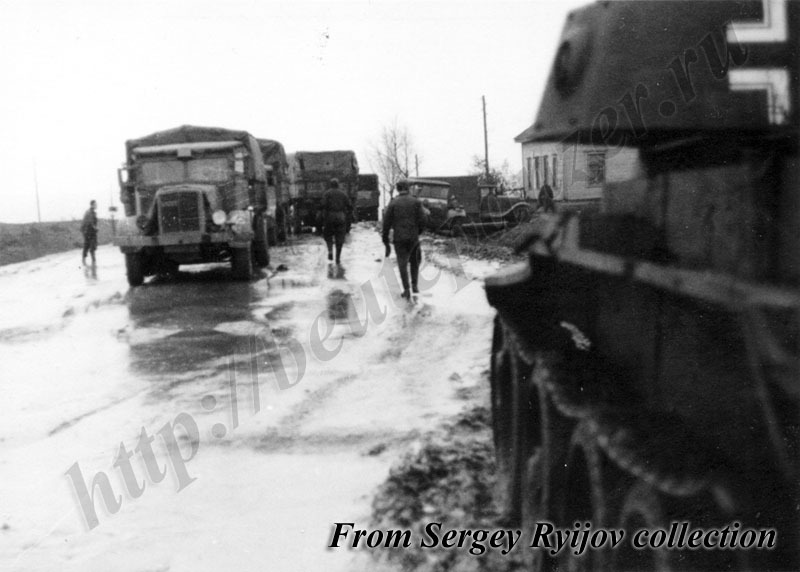 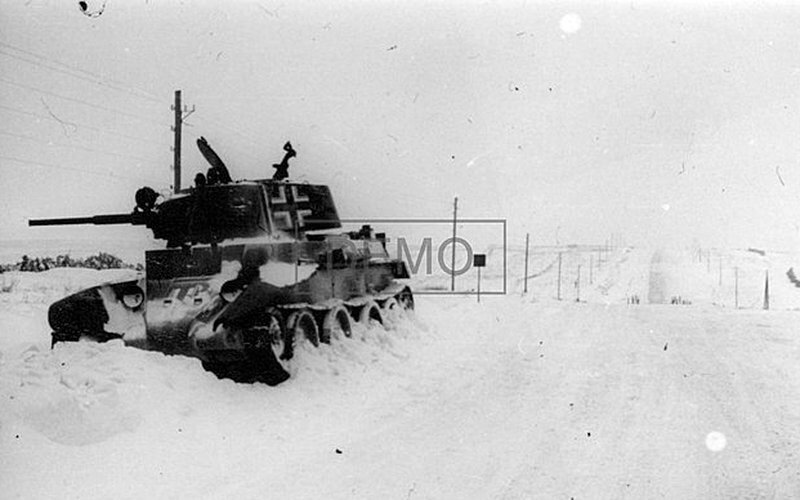 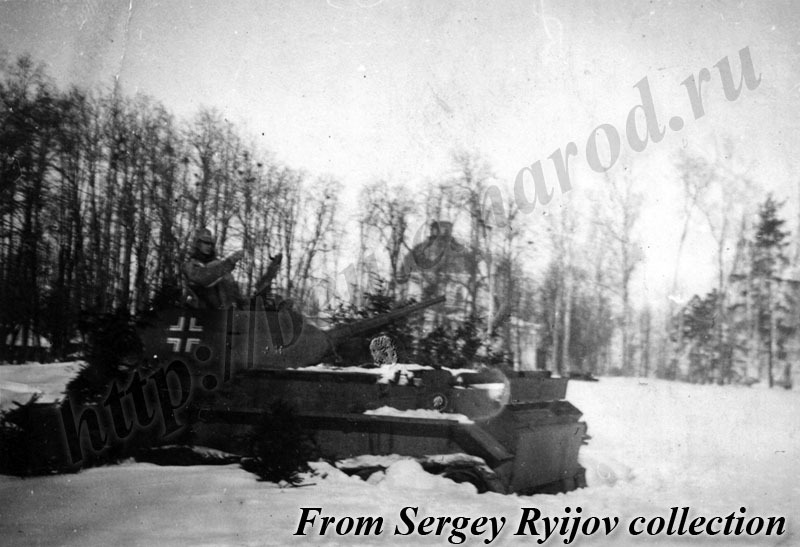 Two BT-7 tanks and 4,7 cm PaK(t) auf Panzerkampfwagen 35R(f) ohne Turm possibly from antipartsan unit. 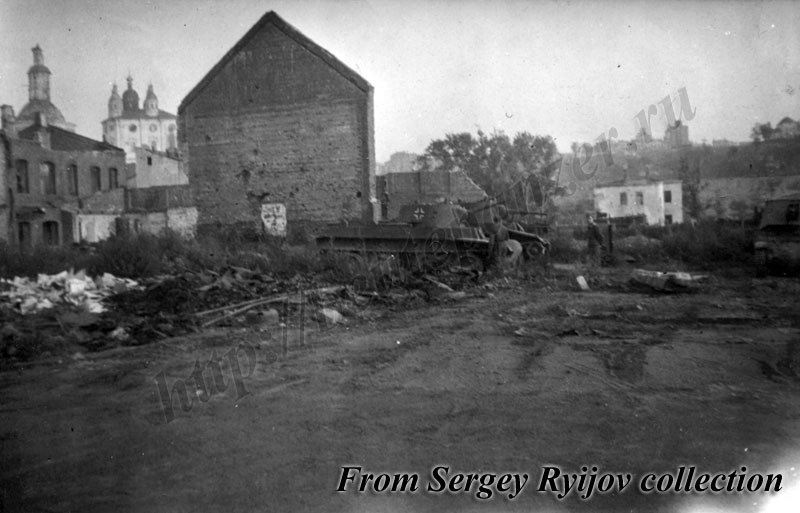 Smolensk, 1943.